WHO is allowed access to what? This seems to be the confusion among board members, members and stakeholders of the TT Cricket Board (TTCB) concerning the accessibility of financial documents within the local cricket body. Former West Indies spinner and member of the TTCB Dinanath Ramnarine is questioning why certain financial statements are being kept by the executive of the board. 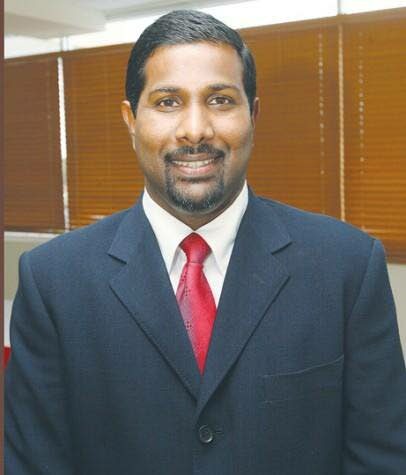 “I wish to express my disappointment for the continuous refusal by you (Azim Bassarath) to provide copies of the auditors report for the last three years to members of the TTCB including me despite numerous requests,” Ramnarine said in an email to TTCB president Bassarath on April 3. Ramnarine is requesting the TTCB auditors report for 2016, 2017 and 2018. Ramnarine said he addressed his concerns at the last Annual General Meeting. According to Ramnarine, other TTCB members have asked for copies of the auditors report after hearing about the document’s existence. “In fact, some members were extremely surprised that such a report existed and requested copies at the AGM. I myself have requested copies on several occasions since the AGM, but despite my best efforts the president has refused to provide copies to me and the full board,” Ramnarine said. Former TTCB auditor Denesh Bhola understands that financial statements, including management letters, should be made available to all members of the board. Chairman of the Sport Company of TT Douglas Camacho, giving his thoughts on access to financial documents, said normally if an audited report is prepared it is often shared with all members of an organisation. However, a management letter remains in the hands of management and is not shared among everyone.